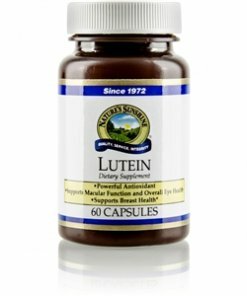 Nature’s Sunshine Lutein supports eye health and may support breast health in women. Lutein, a phytonutrient and carotenoid, filters short-wave visible light, protecting the macula lutea, a yellow spot in the center of the retina, as it ages. The antioxidant properties of lutein also protects the lipid membranes of the macula lutea from oxidation. 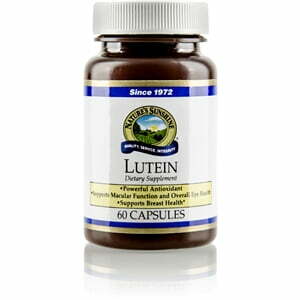 Nature’s Sunshine Lutein comes in 10 mg capsules. Instructions: Take one capsule with a meal once or twice daily.